(Interfax – MOSCOW, May 28, 2013) The U.S. side has voiced quite concrete and serious proposals on the missile shield issue in Europe, however Moscow thinks they are not enough, Russian Deputy Foreign Minister, Sergei Ryabkov, said in an interview with Echo of Moscow (Ekho Moskvy) radio station. “We offer to conclude (an agreement) on legally binding obligations of non-direction of the U.S. system against the Russian nuclear containment forces. So that this agreement is not declarative and unsubstantiated, mutually agreeable and developed technical characteristics of criteria ensuring this very non-direction should be stipulated in it,” Ryabkov said. “The proposals of the U.S. side on the issue are quite concrete and are related in a certain way to the discussions our countries had at various levels in the past years. And it can not be said from this point of view that the offers are decorative and not serious. No, I want to emphasize that we are committing to the seriousness of these proposals but we note their insufficiency,” the deputy minister said. The U.S. has dropped the fourth stage of the missile shield systems in Europe and said that this stage would not be implemented at least until 2022, Ryabkov said. “The question is what next is. This will not happen now until 2022, but what about after 2022? And what if another air defense interceptor is created, or is not? All this is very unsteady and flexible and all this is changing,” Ryabkov said. Ryabkov said that Russia paid attention to the fact that the U.S. had plans to create a universal interceptor with the latest technology to be installed on different rocket types and that the discussion of installing dividing front sections at rockets-interceptors in the framework of creating new missile shield systems had been resumed. 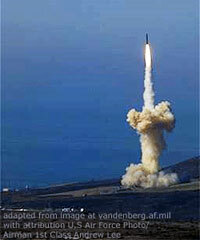 “This will mean considerable increase of U.S. missile shield capabilities. So we have a changing picture all the time and can not ignore this,” Ryabkov said.